I’m the room mom for my daughter’s class this year and I’m super excited about working on ideas for their classroom party. The group has decided on a Winter Wonderland theme and I have tons of ideas I could use from this party last year, but since we have a limited budget and time I thought I would see what other fun ideas I could pull together. 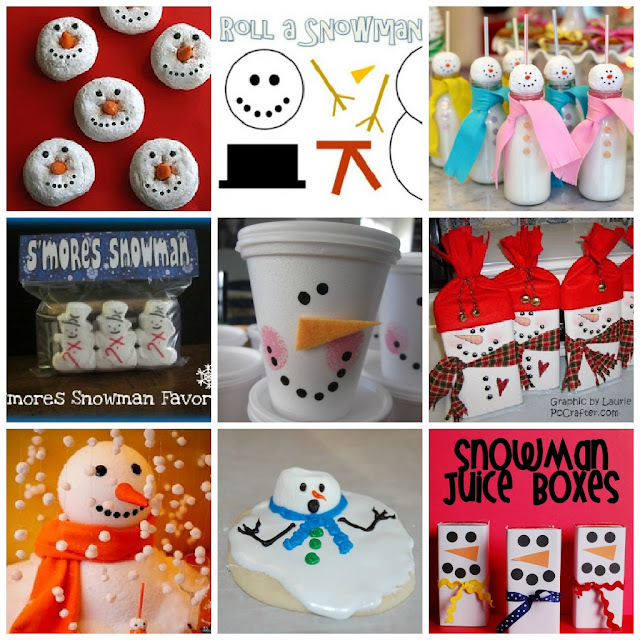 I’ve put together a snowman themed inspiration board, perfect for planning class parties or winter play dates. Enjoy!